We spend a lot of time playing with shapes and materials. 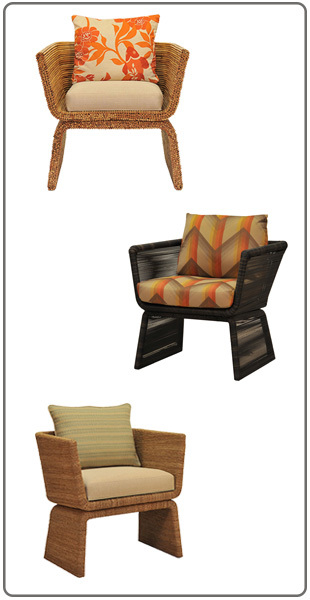 Swapping a high textured material like abaca for a smooth resin wicker or a solid wood frame for an aluminum one, can turn an indoor chair into an outdoor ready design. Our Shibumi occasional chair is a great example of how easy it is to achieve a different aesthetic from the same basic form. A change in material moves it from sleek to textured, eclectic to modern, or retro to contemporary. Browse our Design Library and see what combinations you can imagine for your next project.